3Put the keyword you wish to rank for toward the beginning of your title. You’ll optimize how you’re found via Google Instant, and when you do show up on the first page of Google search results, users will more easily notice your title as they scan down the results. 4Keep your title under 60 characters. Most search engines will only recognize up to 60 characters, and truncate the rest, like the example below. You don’t want your title to appear incomplete, and you certainly don’t want your keywords cut off by the search engines! 5You’re writing title tags, not a poem or a short story. Trying to write something that’s creative from a literary perspective won’t help you get found in search. Stick with the language your supporters use. What’s your tip for writing title tags?John Haydon delivers social web strategy solutions for “the quick, the smart, and the slightly manic.” Curious? Then connect up: Contact John by email, see his profile page, visit the John Haydon blog, follow him on Twitter and Google Plus or leave a comment. 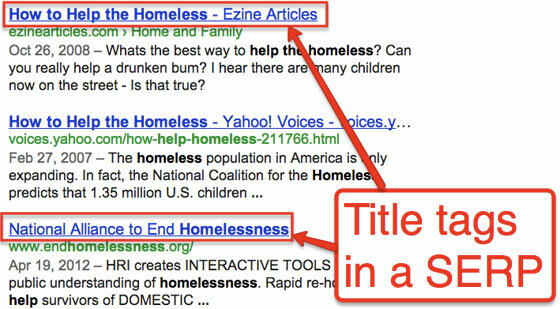 The title tag is, without question, the most important aspect of on-page optimization. 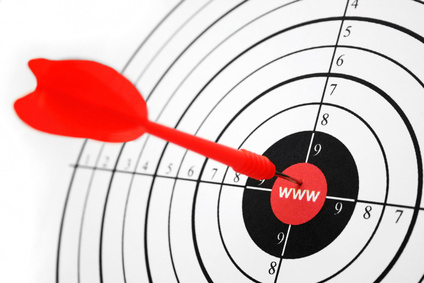 It is the first thing Google analyzes when trying to gather the most relevant content for a specific search query. Tip: Don’t start your home page’s title tag with “Welcome to…” If a first-time visitor likes your page enough to bookmark it, you want them to record a title that makes it easy for them to find it again days, weeks or months later. If the user keeps his bookmarks in alpha order, your page’s title will be grouped with all the other “welcome to” entitled links at the bottom of the user’s list.